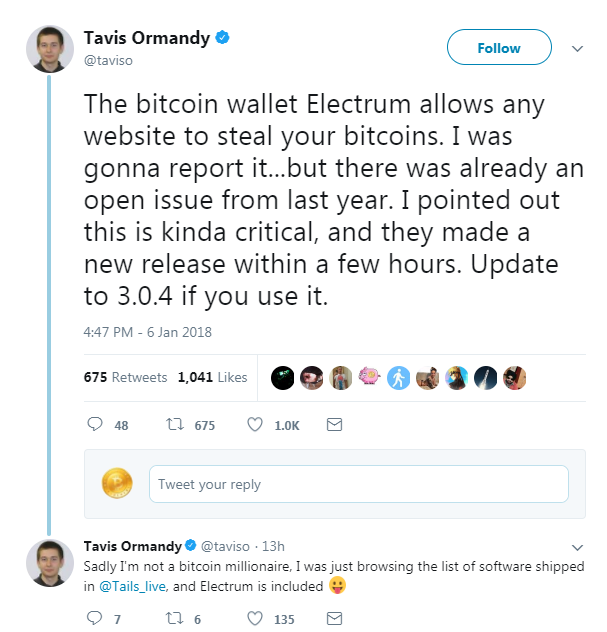 Electrum is one of the best and most popular light wallets. There was criticial bug found in it today. If you had it running and any website open there is a chance the wallet is compromised. The bug is fixed in spoke 3.0.4 but since it was developed fast its not sure there is no more problems found that hackers may use. Since today the vulnerability is known to the public so many people can try to exploit them. 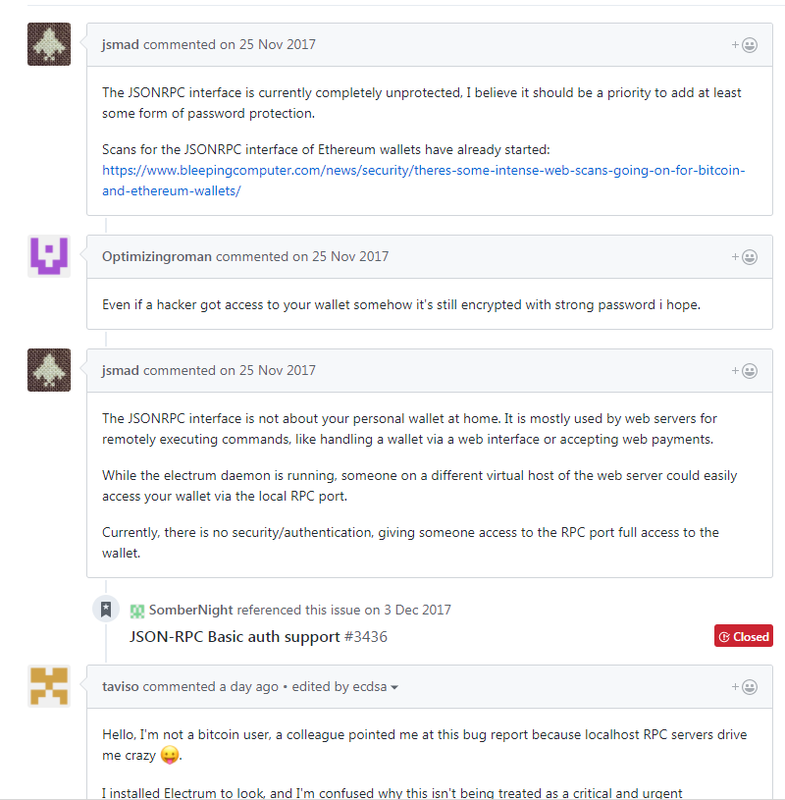 If you need to access your BTC and cant wait a day or two for things to settle – download latest Electrum, close all websites (maybe even restart computer) upgrade.